Friends from your CrossFit® affiliate planning a wedding? Looking for a unique bachelor party? Bachelorette idea? Read on! I had the pleasure of going to Vegas for a dear friend’s bachelorette trip when I was in my twenties. It was an absolute blast! I slept 4 hours in a 48-hour period, danced with some of my favorite gal pals at the two hottest new clubs, shopped, lounged by a beautiful pool, and left $20 richer than I had arrived because of some luck at roulette. I sat in the airport at 6am on a Monday morning after sleeping ZERO hours in the past 24, alternately pressing an ice-cold water bottle against my neck and wrists to keep from passing out from sheer exhaustion before my plane arrived. Obviously, I enjoyed myself, and I have nothing but good memories of Vegas. HOWEVER, now that I am in my 30’s, my idea of a perfect bachelorette weekend has changed….just slightly 😊. 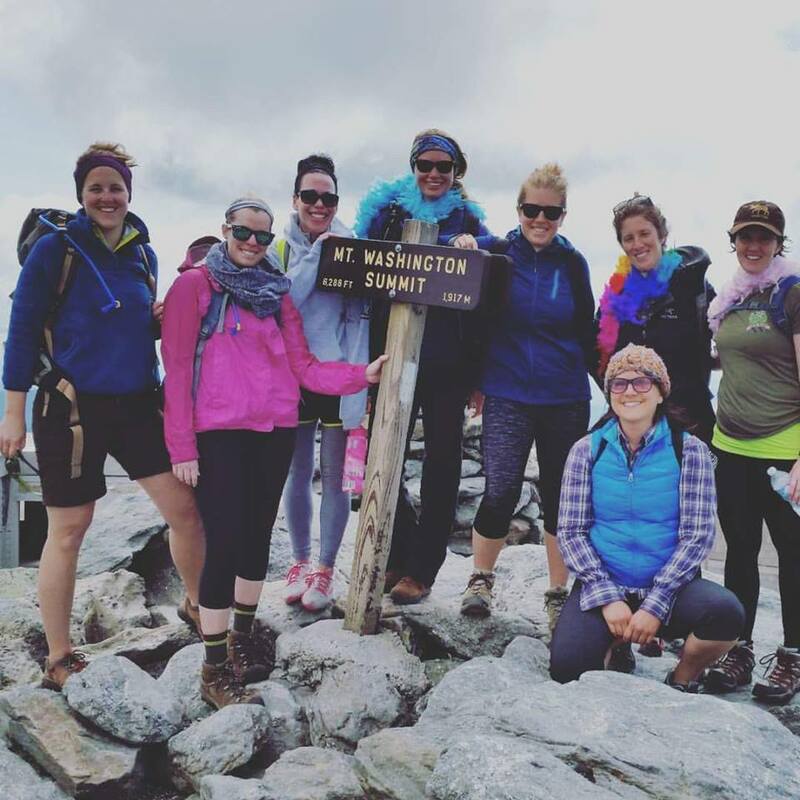 When my sister, and Camp TimeOut founder, Christin, got engaged, she wanted an alternative to the typical “stay in a hotel and go to bars” bachelorette vacation. She’s an outdoor girl. She loves to have days packed with activity, and then relax with friends and have a few drinks in the evening. 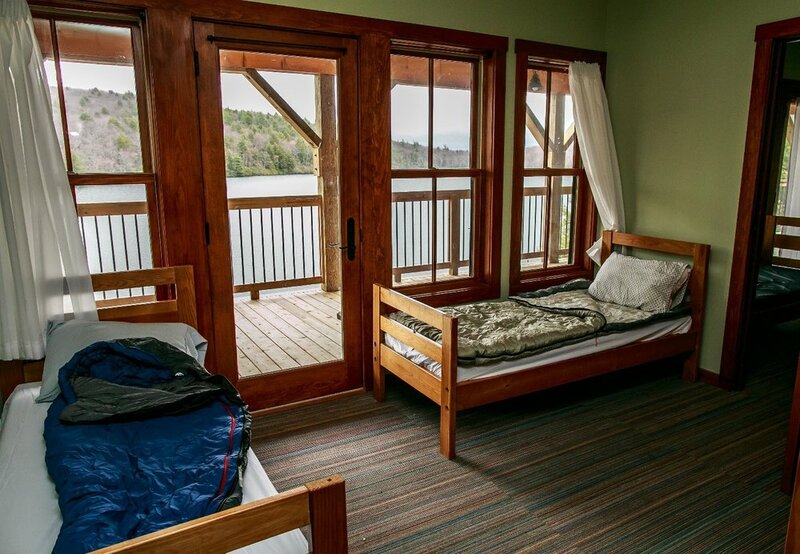 Together, we planned a weekend of her dreams in the White Mountains of New Hampshire. In the evenings we grilled out, did a little yoga in the backyard, had a few drinks, played the “Heads Up” game as seen on Ellen, and watched Sweet Home Alabama. The weekend was full of activity, but also there was time built in for the group to relax and connect with each other. I think Christin’s bachelorette adventure was the perfect balance of activity and rest. She and I strive to have that balance on all the vacations we plan, and we especially strive for that perfect balance at Camp TimeOut. 1. Maid of Honor/Best Man doesn’t have to lift a finger to plan. It is SO HARD to make a vacation for a large group run seamlessly (I would know!). We fully program Camp TimeOut weekends for non-stop fun from sunrise to well after sunset. You don’t have to think about what to eat, where to sleep, or how to fill your days. You could be relaxing in an Adirondack chair rather than making dinner reservations and scheduling Ubers. 2. 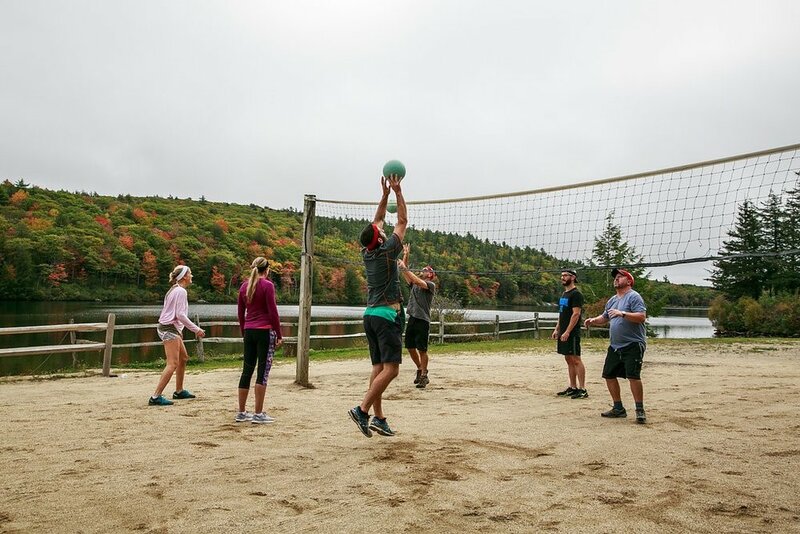 There is WAY more to our camp weekends than alcohol. While we have an open bar, it is not the focus of camp. The bar opens at 6pm, after most of the activities are finished. You won’t have to worry about one of your friends getting sloppy and ruining the party. The bar closes after 4 hours. You might enjoy drinks around the bonfire, on a sunset hayride, during evening arts and crafts, or while watching a dodgeball tournament. It is the perfect way to end a day full of activity. 3. You will have QUALITY bonding time with your bachelor party or bachelorette crew! It’s hard to connect in a bar/club or even a restaurant with loud music thumping. Not a problem at camp. The background noises are tree frogs, birds, crackling fires and the laughter of happy/relaxed campers. It’s hard not to feel close to your friends after a day of activities like an adventure relay race , a group polar plunge or soaking in the sun on a dock without a care in the world. 4. You won’t get sick of each other. Ever been to an awkward bachelor/bachelorette party where you end up super annoyed by one of the guys/girls? 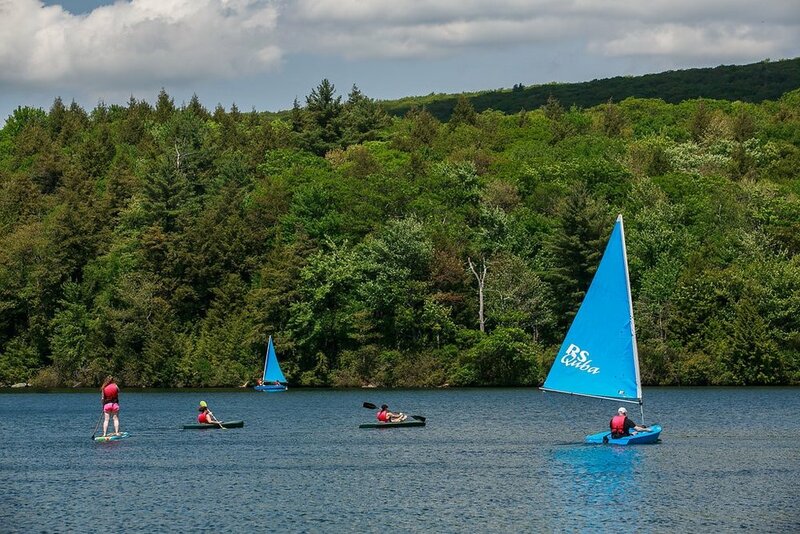 All of our camps have plenty of space, constant activities and lots of nice folks to help distract you if necessary. 5. You will feel MORE fit at the end of a weekend! Fitness is what we do best. We have yoga, fitness challenges and hikes on the schedule. (but we’ll make sure your couch potato friends feel welcomed, included, and have plenty of activity options as well!) We think you’ll also get lots of exercise from many of our other activities without even noticing. 6. Camp TimeOut is a bargain compared to a Vegas style Bachelor/Bachelorette weekend. (Again, I would know!) 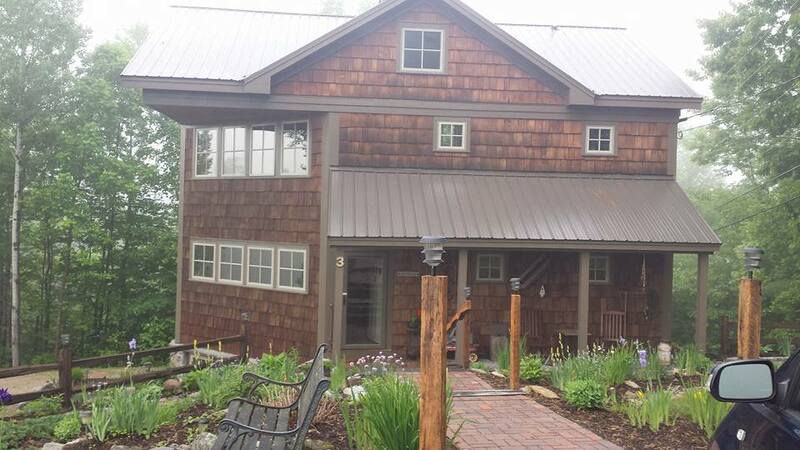 When you add up 2 nights in hotel, 3 meals out a day, drinks, and cab rides (not even including what can happen to your bank account at a Vegas casino), Camp TimeOut looks like a real steal. Camp is all-inclusive, so the only time you need your wallet is when you show your ID at registration! Make it easy on yourself and leave the planning to us! 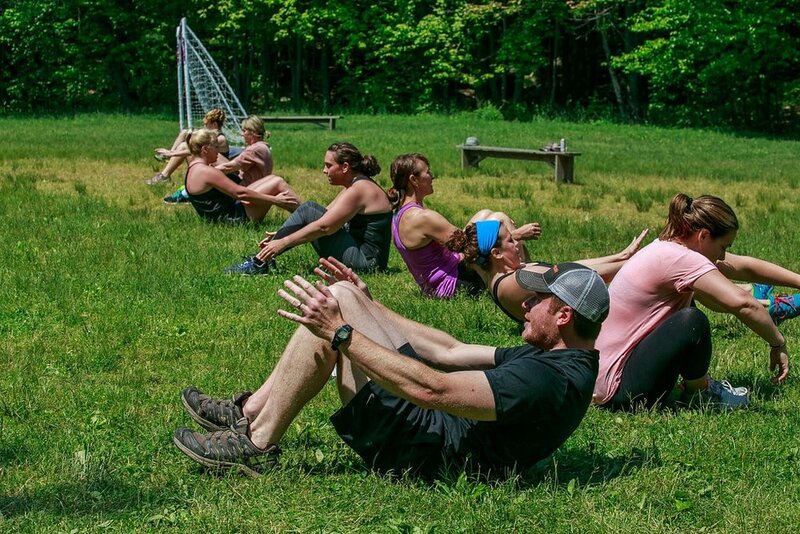 Connect with your crew in a gorgeous outdoor environment, and leave camp in much better shape (mentally, physically and financially!!!) than you would from a trip to Vegas!